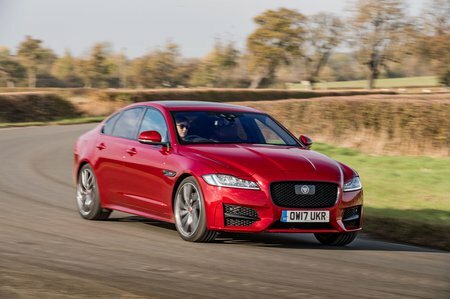 Jaguar XF 2.0i  Prestige 4dr Auto 2019 Review | What Car? The higher-powered of the two 2.0-litre petrol engines is a punchy performer. It’s a smooth and quiet engine, too. There’s no major fuel economy or CO2 emissions penalty for choosing it over the lower-powered unit, so it’s worth a look if you find that version a little slow. An eight-speed automatic is the only gearbox this engine is available with.